ROAD TOWN, Tortola, VI- There is a new name that has manifested on the Reggae scene and he is not from Jamaica but rather from the sister territory of US Virgin Islands (USVI) and has strong links to the Virgin Islands. 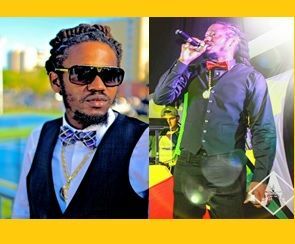 Revalation Da Royal, born Jason Williams, has been getting the nod wherever his music is played but especially and importantly in Jamaica, considered the birthplace of Reggae. His latest single release 'Like Yesterday' has been quickly adding to his ever growing image. 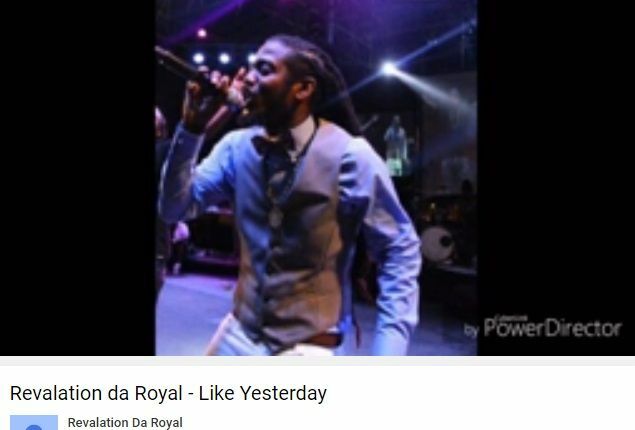 Forged from a world of humble beginnings and fueled by an unrelenting passion for music and his people, Revalation da Royal aka Revalation, is an international reggae artist poised to have a great impact on the world. For those who are familiar with him it is agreed that Revalation is a shining star. The evolution of Revalation the artist began to take shape at an early stage in his life. His music has always been a guide in his life. It became his place of solace, clarity and passion filled expression in the most turbulent times as a youth growing up in the Virgin Islands. Revalation’s musical ability has always set him apart from his peers making it abundantly clear he is destined for greatness. With a mantra of “thought provoking messages” the studio became a natural canvass to paint portraits of Revalation’s life and experiences. His unique vocal and lyrical approach allows listeners to connect with him in a meaningful way as he spreads his message across the globe. Inspired by some of the trailblazers in the reggae music industry such as such as Bob Marley, Sizzla, Capleton and Buju Banton, Revalation brings a unique and refreshing sound. His energy and ability to move any crowd has earned him performances on the same stages graced by some of Reggae music’s greatest hit makers such as Beres Hammond, Buju Banton, Capleton, Beenie Man, Pressure Buss Pipe, Barrington Levi, Taurus Riley, Tony Rebel, Sanchez, Luciano, Freddie McGreggor, Ky-mani Marley and many more. This one of a kind artist believes he is spreading a message of love, truth, and righteousness. His debut album "Serious Matters" is a perfect example of this message, with hits like "Self Esteem", "Live It Upright", and "You Are Someone". “In time Revalation will be added to the great names of Reggae Music. He is a true musical flame that burns bright. Get ready to experience a new and exciting era in the world Reggae music,” commented his manager Tamra J. Caul, who is also the manager of well-known Virgin Gorda musician Martino ‘Tino’ Mark. ‘Like Yesterday’, which is available on https://www.youtube.com/watch?v=ExOslY9ki84 and Sound Cloud, is a smooth Reggae love song, which many are falling in love with which is already propelling Revalation further into the spotlight. Meanwhile, Gratitude was expressed to Jamaican radio Djs like Garry G, Digital Chris and Elise Kelly of Irie FM. On the local scene, Revalation, along with Third World Man, was on the Morning Ride Show with Paul Gadiethz’ Peart on Wednesday August 24, 2016 and there are several more interviews lined up. Ravalation Da Royal currently resides in Miami, USA. He recently performed in the [British] Virgin Islands at VIBE’s album release party. Wah ayo surprised? THIS MAN HAD THIS COMING A LONG TIME MAN JUST WAIT HIS TURN PATIENTLY. Do the ting FAM you where you suppose to be! Great Job young man. Bellow out your inspiration and achieve greatness is what these islands need. Reach for the stars. Ur already on my nomination list for a Grammy in the Reggae Class. come on he is not all that! You a real hater dread! Big up our international superstar Rev. Always knew you would take the world by storm. I JUST MET HIM JUST HEARD HIS MUSIC AND I LOVED ALL OF IT HE WILL BE FOR THE RECORD ROYAL KNOW YOUR WORTH your worth billions.